Please contact me regarding the 2007 Isuzu NRR - Listing# 653223 for sale at TruckerToTrucker.com. Priced to Move Must Sell! Take a look at this 2007 Isuzu NRR. It is Listing# 653223 at TruckerToTrucker.com. Isuzu 18' NRR - Rear wheel drive - 4 cylinders -$11,500 OBO LOOKING TO SELL IMMEDIATELY. 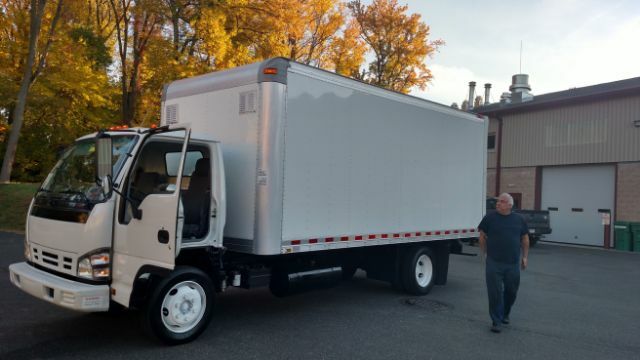 The perfect box truck for a variety of businesses! 2007 ISUZU NRR box truck with curb side access door and ground level rear access rolling door with a step and a steel platform for working on the back of the truck. 19000# max gross weight rating. Current inspection and runs great. Inside of box has upper level shelving down both sides. Some are stationary, and some can fold up. Has automatic transmission, 5.2L 4 cyl. diesel, with great A/C. The pictures here showing the WHITE truck are exactly how this truck will look once we removed the graphics for you. This truck was well maintained as we are in the business of servicing trucks- so we treated our truck like a clients- and did all service work on time and ahead of schedule. Also the 2007 model year does not require D.E.F. which is a HUGE plus! Priced for immediate sale - this truck's blue book is $12,500 but willing to let go for less.